If you have been injured in an accident, and that accident was caused at least in part by someone else’s negligence, you may be eligible for compensation in a personal injury claim. However, according to Florida statutes of limitations, there is a specific time frame in which you may take action against the guilty party. In a standard personal injury case-such as those stemming from a car accident or slip and fall - the Florida statute of limitations to file a personal injury claim is 4 years with discovery rule. If a personal injury claim has not been started, or is in litigation and the plaintiff dies as a result of their personal injuries, there can be no personal injury action. In a Florida wrongful death case, the Florida statute of limitations to file a wrongful death claim is 2 years from the date of death. In a case involving medical negligence, the Florida statute of limitations to file a medical malpractice claim is 2 years with discovery rule, or 4 years under the statute of repose. The 4-year limit associated with the statute of repose is quite strict and means that even if you couldn’t have known about your injuries until years past the 4-year mark, you are still prohibited from filing a claim. 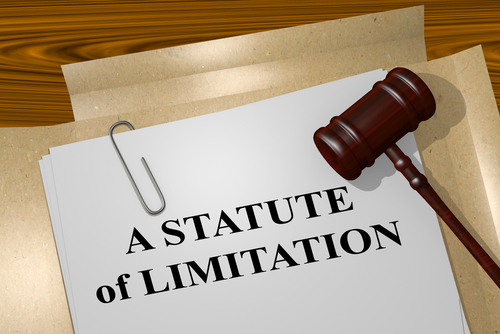 The Florida medical malpractice statute of limitations applies to minors aged 8 years and older. In the case of an infant, a medical malpractice suit must be brought by the 8th birthday, or within the Florida statutes of limitations, whichever one is greater. What is Florida’s Discovery Rule? According to the discovery rule, Florida statutes of limitations begin counting from the date the injury is-or should have been-discovered. Assuming you have met the Florida statute of limitations, you may be eligible to file for compensation in a Florida personal injury claim. any wages (past, present or future) that may have been lost as a result of your personal injuries. any mental pain or anguish that you suffered as a result of your loss. To learn more about how Jim Dodson Law can assist you with your Florida case, contact us at 727-446-0840. Check out our free books to help you with your Florida injury claim.